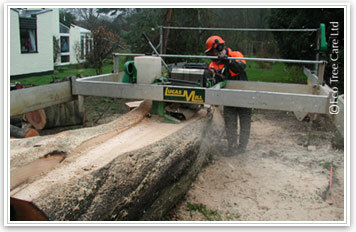 We have been sawmilling trees for timber since 2003 when we first used a Portable Sawmill called a Lucas Mill. 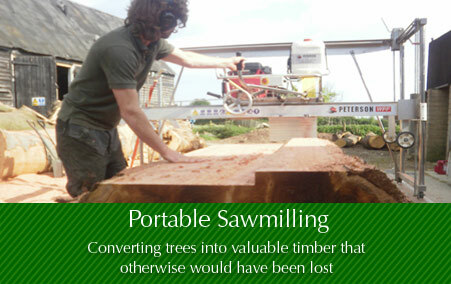 Since then we have also used a towable Woodmizer Portable Bandsaw where access was possible and have also used a Chainsaw Planking Attachment to mill smaller sized timber which would otherwise have been inaccessible. 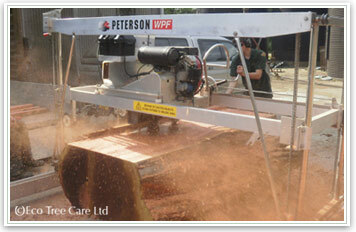 We then moved onto a Peterson Sawmill from New Zealand, designed for the rain forests. 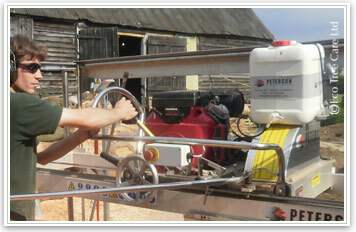 It was truely portable and allowed sawmilling in difficult terrain of trees upto 1800mm diameter. 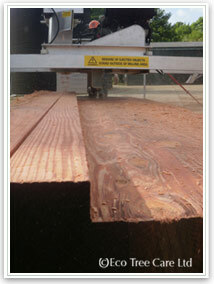 The tracks upon which the frame runs could in theory be extended to allow milling of trees of exceptionally long lengths if required. 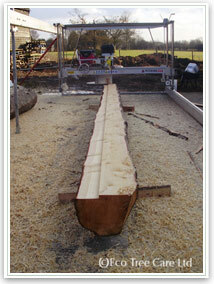 It is a shame that so much great timber is lost during tree surgery. 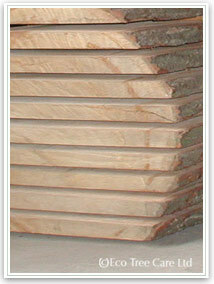 Usually the cut wood is seen as only waste that must be cleared as quickly as possible. Usually great timber is cut up into rings to be split up into firewood, or worse goes to land fill or fly-tipped by the unscrupulous. 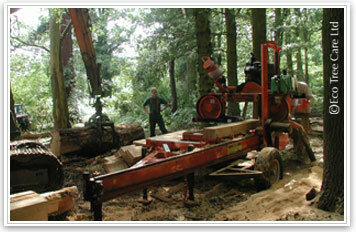 We worked with tree surgeons to help recover what we could from trees that had to be felled. 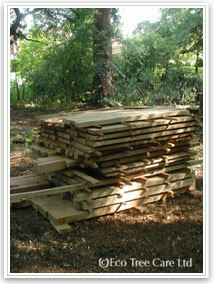 Often what could be valuable wood is lost to be burnt as firewood. 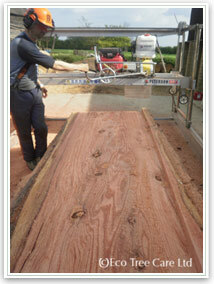 Instead it is possible to convert this wood into usable and beautiful timber. 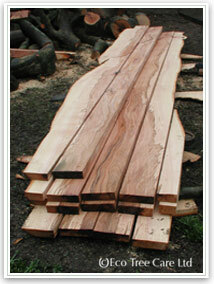 Our intention was to help to tree surgery a more sustainable and environmentally friendly industry. And of course it just simply makes sense.